The lowdown you wont find elsewhere! Shadow by Thai artist and illustrator Rook Floro. An important aspect in sculpture is the understanding of the body and making space. The space I am interested in is the space that exists inside and outside of the body. When I was a child we use to drive on the weekend to my aunt’s place that was in a remote area outside of Calgary. Driving back home was always haunting for me because my family and I would drive through a period in absolute darkness in a place that felt very quiet, absent from the urban city chaos. I felt uneasy with the little or no lights in the space to guide the driving. It was quite primitive at that point. As time passed, from fear and uncertainty, I grew into looking forward to my drive back home, as it forced me to be in a place that was in complete darkness. Not knowing exactly where I was in the moment of ten minutes seemed long at the beginning but because I had no choice but to endure the time, I learned to enjoy the internal silence that this space allowed me to be in. It was in this moment in the car where I would force myself to drive and let go into the darkness. And so, the body is a space to be endless, to be objectless, and to be without dimension; this is the space that contradicts sculpture and the space it is in because sculpture is traditionally conceived with some form of object and material tied to it. But this place of the human space, the internal space is what I am interested in understanding consumption through the object and objectless spaces and the space of the body creating a new concept, this concept becomes a negative space internally and externally. This essay will examine how public art works within Vancouver BC and outside of it, whispers the invisible interruptions in space through the aesthetics and consumption of the body and space in which that has no beginning and no end to it. It will focus on how public art works reflect the invisible form of consumption through the aesthetics in space and in the lines and shadows that design space and our body’s relationship to it. This concept is difficult to relate through written word, because it is so involved in the visual, but this conflict (and subsequent completion) of presentation and explanation can lend itself to understanding when alerted and aware of it. In this exploration of space, there are three main points; Body, Aesthetics, and Consumption. The Body itself can be approached as its own negative space, which lends itself to the understanding of the relationship of the body and place. It (“the body as negative space”) will be used in this essay to explore and argue the relationship of lines and its concept towards how lines create boundaries in space and how our bodies create the darkness that aesthetics brings from consumption to the shadows we create in space. This concept of the body as negative space will be used to explore the relationship of lines and shadows. The lines and shadows in life are simple but often unnoticed aspects in our everyday space. But they perform an integral part of it. Acting out a spatial inequality which often our misunderstand of the creation of darkness and light. It is this misunderstanding that allows society to look at consumption and aesthetics without seeing and acknowledging it. To change seeing how we produce ourselves invisibly creates the interruption in space. It is in the poetics of our shadows and those that extend beyond ourselves that lend us to understand the relationship of our bodies to the aesthetics in art. It challenges the way we view and consume internally, as well as externally. In geography we focus on the object and space, and then relate it to the issues of consumption and how aesthetics play a role in that. But if that process is reversed, if we looked beyond the object and into ourselves, we can then see the consumption of art differently and how that affects the way the city processes itself. The relationship of space and the body is complex. What is physically a part of our being directly reflects how we see our own reflection in space. The relation of these two need to be examined because of the vast possibilities for engagement and discovery about our individual and collective spaces and objects. In exploring space and the body, understanding, is the key to know what is meant by certain terms. “ Space”, in this instance, it refers to the physical occupied space as well as the extension of the psychological, emotional and imagined. The relationship between space and the body directly influences the complexity of we reproduce and consume ourselves. The term “ Shadow” refers to the ongoing invisible substance that manifests our fears of the other physically and psychologically. This mirrors how we process and objectify our bodies through commoditizing the internal space and projecting that through what fears we imagined in our minds and replicating it to the physical space. Moreover, in exploring our relationship with shadows, the term “ Public Art” refers to creative objects representing the unknown and the other. It also indicates a physical dimension that is monumental between the transaction of spaces and the paradox of commoditizing and consuming our imagined spaces. Because of the nature of this topic, there are a plethora of resources exploring the concept consumption and aesthetics, albeit singular in nature. Many of the resources used discuss space in the imagined sense, psychological and emotional, but rarely attempt to connect them together. Furthermore, my question is how they are linked? Walking through the city of Vancouver, I could not help but notice everywhere I walked there were a lines and shadows; even walking I was creating an invisible line from one point to the other with my path. From the lines that design, the ground we walk on, to the lines and shadows that form, and manifest itself from the buildings, trees, clouds, signs, buildings and most importantly, the extension of ourselves. Every line and shadow noticed in space was the physical distinction from one space to the next object and the person entering that space is, essentially, the space being consumed. Looking closer at my own shadow as I was walking and the lines that merged from one cobblestone to the next they were all dark and mysterious. These lines closely resemble those in aerial views on topography maps. It is this fluidity, shared between two distinctly different forms, that show the self-imposed (albeit often unknowingly) division of our space as it travels through the space it is in. (Monmonier) These shadows and lines are an extension of self and leave an invisible path to the next space we consume through the inconsistency of negative space. Considering the images above, you have the public art sculpture of “Eros Bendato Scrippolato”, a piece that represents and speaks about the traditional cracks and unused space as Tonnelat speaks about the interstices in Urban Space. However, the disfiguration of the human head on the ground can conceptually freeze the human body to only realize where we come from and to challenge the aesthetics in place of our society through the body. 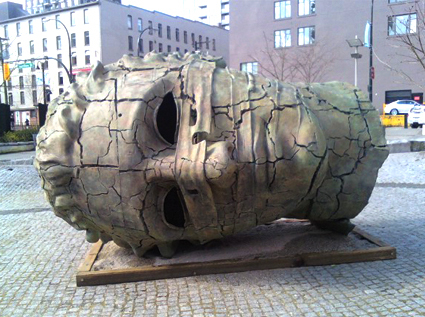 This particular head is haunting and interrupts the flow of the space in Yaletown, a place considered to be a space that is prominent for its aesthetics. It proposes this paradox between the human beauty and not. Unlike the unused aspects and ideas of interstices, interstices can be understood as the back alley of a space that is not used often enough. (Tonnelat:291-292) This is how to approach our shadows, something that is not used but is present with us all the time. This becomes useful and makes its audience aware of the cracks of space within public space. This occupies a noticeable area that defines the cracks and distinguishes them in relation to the floor and the relationship to the shadow, thus distinguishing ourselves from the unknown and the other to what is physically attainable and evident. There is a certain feeling of death and dread when approaching it; Darkness and the association of death signifies a process of change. Death becomes the agent for change and moving on to the next thing. Allowing us to see the change as there is a constant change and cycle within consumption of products or in this case the production and consumption of our bodies in the environment. The eyes are hollow and the head is amputated from the rest of its body. This lack of movement and large presence suggests the end of one product to the next, and how our bodies become so irreplaceable. From the amputated head to the cracks and shadows on the ground, it visually challenges and interrupts the darkness we face through the cracks of the city, speaking what is constrained and expanded through the production internally and externally of our bodies. It is through the shadows that haunt us because it reflects what we are not and the shadows are empty because there is no object to consume with it, it just consumes the space. This concept of consuming space is important when speaking the unspoken through the cracks in space and the shadows that melt with that. What is important is that shadows and lines do not hide it and it is not unnoticed and this is the point that I am trying to depict through the shadows, lines, and the artwork and in space. Through public artwork as a discourse form of aesthetics and consumption, how do these lines and shadows frame us in space? 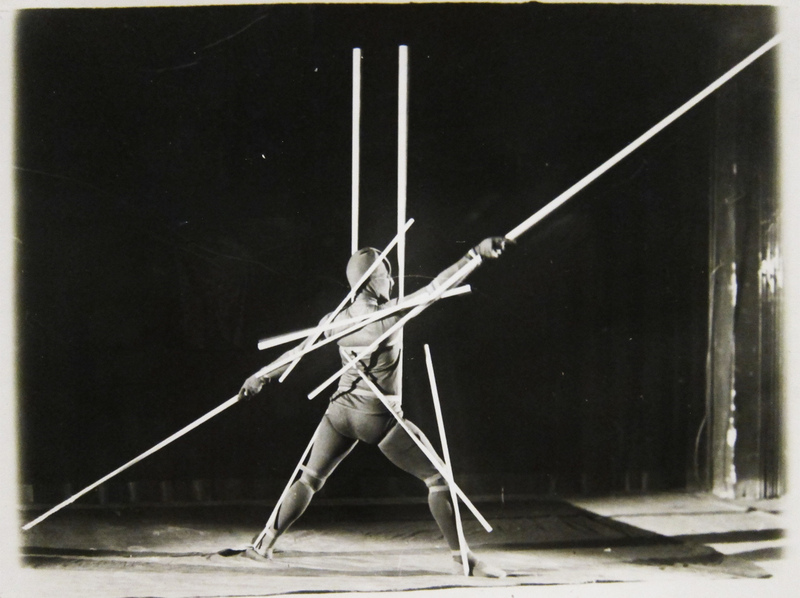 In the image above is a shot of a performance of the Triadic Ballet created by Oskar Schlemmer. Schlemmer speaks and examines the body in performance as a mobile architecture and a form that put himself in as the object. The body becomes a whole of the space and depicting that through the extension of the lines coming from himself. Isolating the body in blackness to create the void of the body and its space to the objects and voiding what is considered to be aesthetic. The void and the body as negative space challenge us to view consumption and aesthetics internally rather than externally. And how space becomes the platform for containment and frameworks that the lines and shadows of space provide outside of us and inside. The body as the object in its darkest form provides the physical and psychological understanding of us through our own darkness and that we are the host of production and consumption and using aesthetics to justify the process. (Saville) This is the dysfunction of darkness and negative spaces speak of. It this part of the human element that we cannot see our bodies as the object and the process simultaneously at least in trying to make sense out of the purpose of shadow and how this fluid form is significant in understanding the body as negative space the consumption of space with it. The human element of the internal space is what creates the human bodies as forms of separation and interconnectedness with the lines and space shaping in society. From my observation of my walk and following my own lines and shadows the concept of darkness and our bodies design the spaces we are in and influences how we process our bodies and consume what is around us. In darkness I am proposing hypothetically speaking this as a solution to decrease consumption by not having the aesthetic. If we didn’t have aesthetics then would our view of consumption through art change? Thus couldn’t our bodies act as the interstices in space? It is fluid but yet permanent. These public art works critically reflect the process of how we view consumption through our bodies and how our bodies are misplaced through the aesthetics in art. (Scheld: 110-113) If we looked at our bodies differently in the way how our bodies consume in space then maybe we can look at the object as in first person rather then the other. This idea of permenantcy is interesting because as something becomes produced over and over again it loses its value? (Siebers) So by commoditizing space and our selves can we see our bodies in the darkness or in the light? Shadows need light to be a part of space, it’s in this metaphor I propose and question the need for aesthetics to perform best in space. And perform through the cracks that no one looks. Do the process and production and over stimulation of large public art works separate us from the manipulation and repetition qualities of how we absorb the art around us? Image taken from internet source. 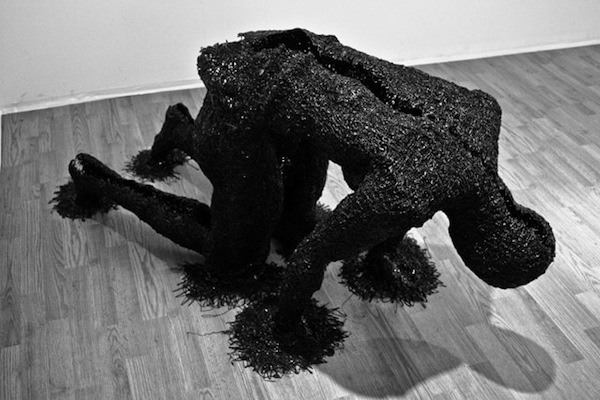 In the art work by Jim Campbell denotes this term of body as negative space in relationship to the darkness in the cracks that physicality of ethics and in the shadows that represent and could speak of the psychological phenomena associated with consumption and its fetish behaviors of being completely obsessed with ourselves. (Siebers) The body weaves through inside and out the external and internal absence of the human and mental space to the environmental space. (Goss) The vague but distinguished silhouette of a dark figure encompasses movement in the space and in the lines of space and in the shadows that follow you in space. This in turn creates a new dimension, or rather creates the body form of the dimensionless. Art, sculpture and public art proves dimension but what I am proposing here is the importance of how we think we obsess over products and food and art in society but it’s really our bodies that we are obsessed with. This is how the lines can be the crack between the audience, the object and the viewer. There is no “other” and it’s involved. There is no separation between what belongs and what doesn’t in these ghostly figures, there is not an amputated or particular body part that is emphasized, a branch of fear may I add. Our body as negative space through the metaphor of the black body silhouettes can speak of the paranormal consumption of the everyday fear of what inside us. No one likes to look at the future to be or death. But It’s this notion of fear that represents this form of consumption and paranormal as the consumption of fear and the misunderstood. (Saville) These ghostly figures blend in. it’s the invisible line that connects us and separates us from the human as an object and space as the aesthetic. Art reminds us and plays with the evidence of this aesthetic between fear and ignorance. This form of consumption of the paranormal distinguishes us the possibilities between what we can see and what we can’t. What is the unspoken to the spoken? Shadows perceived as the function of ghostly aesthetic in to the production of panic and it’s through this existence that we can look at the element of negative space as the memory of what most fear through the psychological space. 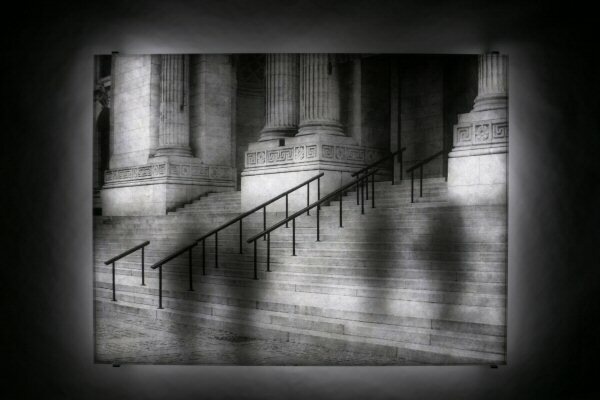 Certain artworks speak of the absence in the fluidity of shadows that reflect ourselves through space. And challenge how stagnant we represent ourselves through public art works. The term the body as negative space, reflects to the unspoken and the haunting aspects of how we consume ourselves and how we consume the space we are in through shadows and through artworks. (Siebers) The lines and cracks represent the darkness that a shadows cast over and this inconsistency of both conceptualize to the form and the object as unnoticeable but noticed .. Just as looking at our bodies as the object in space and determining what between those lines and how shadows represent the extension of our bodies to re enact the performativity of consumption. (Goss) Moving and using space over and over again and our bodies become the production of it. Spatializing the space from inside to outside of ourselves is the point of not one significant point, thus endless. Just as the process of art work and the manifestation it has in space its is just that fluid as our bodies encompass and move in space. This is how we identify ourselves through the “left over space” and that products become the interstices and our bodies reflect that through the shadows. (Tonnelat) It’s through the beauty of the shadows in its lamest form that voids the need for consumption. In the environment and ourselves that speaks of the desire to compensate itself on the road from one point on the road and simultaneously onto the next. It is a never-ending production of ourselves. According to Marx’s analysis of commodity- form he uses the term “salto mortale” as a way to examine how a product has to accomplish itself I order to assert its self as a desired object ( Zizek, Slavoj). 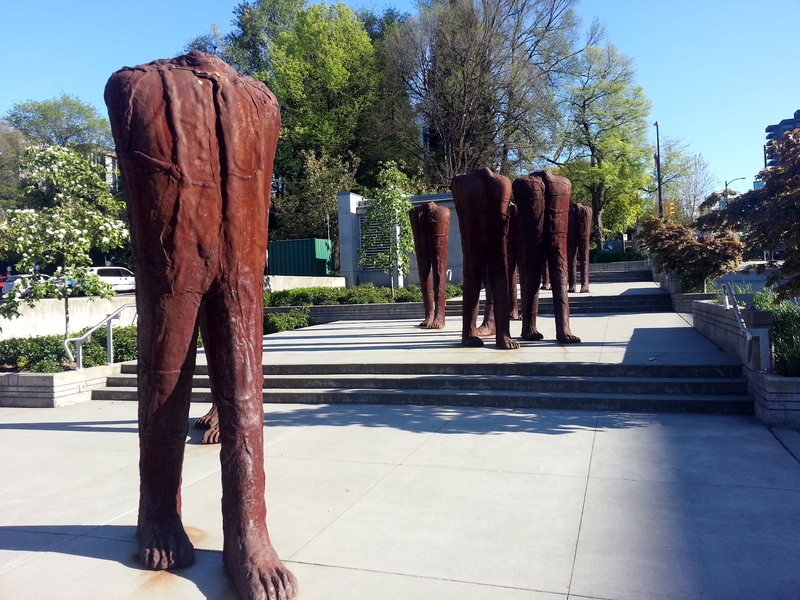 In Magdalena Abakanowicz “Walking Figures” reflects on lines, shadows and the body as the movable and frozen paradox of the urban cracks and darkness in space through the shadows that reflect it. Consumption indicates the absence of mind when participating with the object or in this case with the art work. That you could envelop yourself in space either hiding from it or confronting yourself to be likes the other one. Consumption is a repetitive process that duplicates the product in mass quantities to be accessible for everyone, like the ways music fills the space. Consumption disfigures the human body and isolates it in with the focus of immobility and movement and the importance of understanding that the body as an aesthetic discourse of the spatial interstices that intersects between public art and the moments that are made in space through light and through darkness. These sculptures are headless and are in the absence of the conscious but what is proposed here is the absence of consumption and being seduced by art and or defined by it. Shadows provide a layer between the darkness and the separation of place. I point out as the title of my paper “ This Place Haunts Me’, because we walk mindlessly without realizing how and what we consume in society affects our lines in the city, and that those lines shape our psychological and emotional response to objects and art and more specifically our bodies without realizing it. (Pinder) In Schelds essay “The City in the Shoe” depicts this aspect of mindless consumption of clothing and footwear globally and the intersections and connection between one space to the next. It is the aspect of this essay I found important to identify ourselves through art just as we identify ourselves and commodize ourselves through clothes and in this case, the shoes. The concept of the shoe and its relationship with shadows is haunting in trading out this shoeless sculpture. Public art works speak of the truth and blackens ourselves to the absence of knowledge and acknowledgement of its place and where it’s going to go. Just like in the process of reproduction and production of art works, and the fear of the unknown the determined and undetermenid design in the lines of our environment and casts the shadows of the shoeless so that our bodies do not become idealized and its is not objectified. It is in the darkness that we can see the possibilities of our own reproductions of ourselves through our own darkness of our bodies in through the shadows we walk on. This is part of the human story that in how we consume ourselves in darkness can’t be said through speaking or producing. It is the human space of the unspoken and the spoken and its conflicting contradictions between our bodies as the product versus the art and what is noticeable first. How we perceive the discourse of consumption through the urban interstices, shadows and cracks in space returns to the term of the body as negative space and that we can see this as human space of the unknown and the internal space is the production of the object and the desire of the human body. (Goss) The question is whether human space can be observes as shadows and lines that connect to the issues and misconceptions of what the cracks really are to us? We produce ourselves and reflect that through the objects and those objects suspend through the shadows. The ghostly form of the human element and its relationship to darkness is what we cant see becomes the object and the aesthetics of it allow us to see the unseen , this narrative for the issues we have how shadows extend ourselves in the way we interpret our space, mentally, physically, psychologically and emotionally and creatively. (Pinder) Shadows fragment ourselves through that. It’s the absence of the shoe and not knowing where we are or going to that creates the colorless from the colour and the moving form of the unmoving. 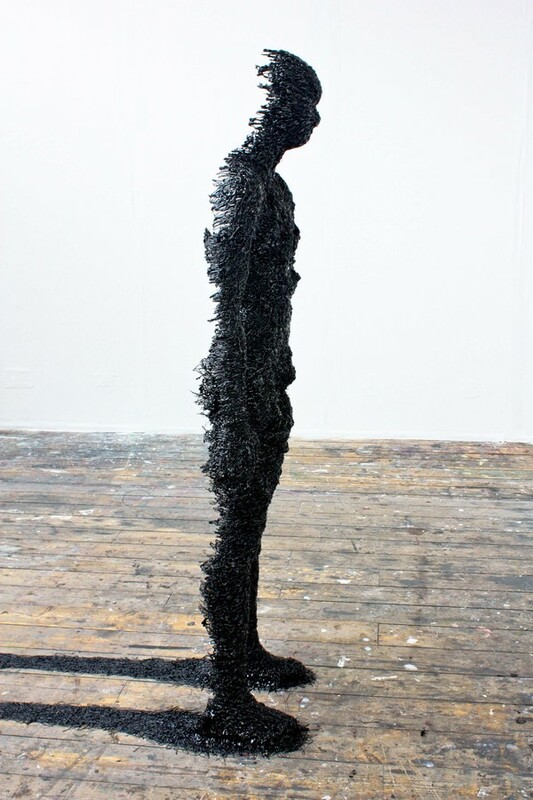 Sculpture allows us to do just that, to critically think about our bodies as darkness and reflect ourselves from the object in the broken space that can haunt the way we look at our bodies in space. The darkness is the space that creates the object and reminds of the aesthetics in its simplest form. The relationship of the body, aesthetics and consumption is the resistance of ourselves with the mass production and repetition of ourselves and voiding ourselves to admit our own fear, between the internal and external the exclusion versus inclusion and the human space within us. This is the limitless production and the detachment of the object to the human body. “My idea of sculpture is a road. That is a road doesn’t reveal itself at any particular point or form and particular point.” (Carl Andre) Shadows are the link to the urban poetics that extend ourselves to space through the fear of the unknown, and the invisible production and reflection of what is around us. It is not something to be ignored and it not something to be afraid to explore. Instead, we should embrace these things as new territory to explore and further understand a new level of the human landscape and the world. 1) Crinson, Mark. 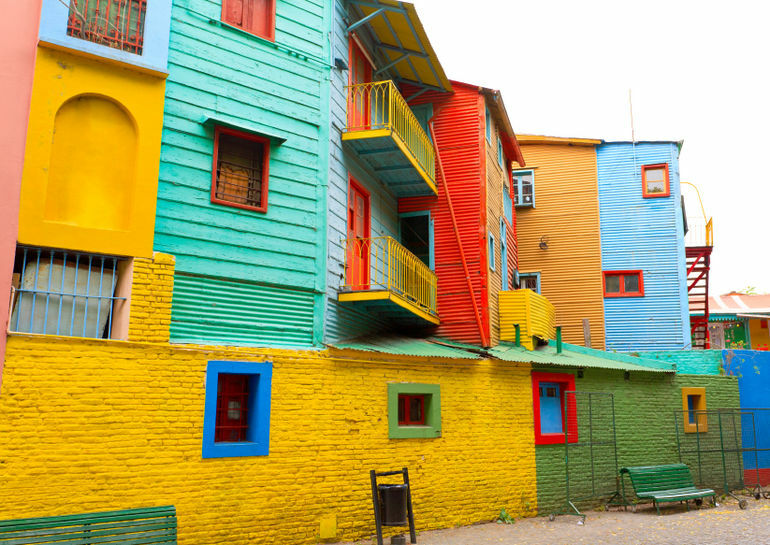 Urban Memory: History and Amnesia in the Modern City. London: Routledge, 2005. Print. 2) Goss, Jon. “The “Magic of the Mall”: An Analysis of Form, Function, and Meaning in the Contemporary Retail Built Environment.” Annals of the Association of American Geographers 83.1 (1993): 18-47. Print. 4) Harvey, David. “Neo-Liberalism as Creative Destruction.” Geografiska Annaler, Series B: Human Geography 88.2 (2006): 145-58. Print. 5) Monmonier, Mark. “Cartography: Distortions, World-views and Creative Solutions.” Progress in Human Geography 29.2 (2005): 217-24. Print. 6) “Oskar Schlemmer The Official Site.” Oskar Schlemmer The Official Site. N.p., n.d. Web. 16 Apr. 2013. 7) Pinder, D. “Ghostly Footsteps: Voices, Memories and Walks in the City.” Cultural Geographies 8.1 (2001): 1-19. Print. 8) Saville, Stephen John. “Playing with Fear: Parkour and the Mobility of Emotion.” Social & Cultural Geography 9.8 (2008): 891-914. Print. 10) Siebers, Tobin. The Body Aesthetic: From Fine Art to Body Modification. Ann Arbor: University of Michigan, 2000. Print. 11) “Slavoj Zizek – The Parallax View III.” Slavoj Zizek – The Parallax View III. N.p., n.d. Web. 10 Apr. 2013. 12) “The Work of Art in the Age of Mechanical Reproduction.” Walter Benjamin. N.p., n.d. Web. 09 Apr. 2013. 14)Tornqvist, Gunnar. “Creativity in Time and Space.” Geografiska Annaler, Series B: Human Geography 86.4 (2004): 227-43. Print. 15)Wojan, T. R., D. M. Lambert, and D. A. McGranahan. “Emoting with Their Feet: Bohemian Attraction to Creative Milieu.” Journal of Economic Geography 7.6 (2007): 711-36. Print.